When it comes to ‘special editions’, BMW pretty much leads the way. 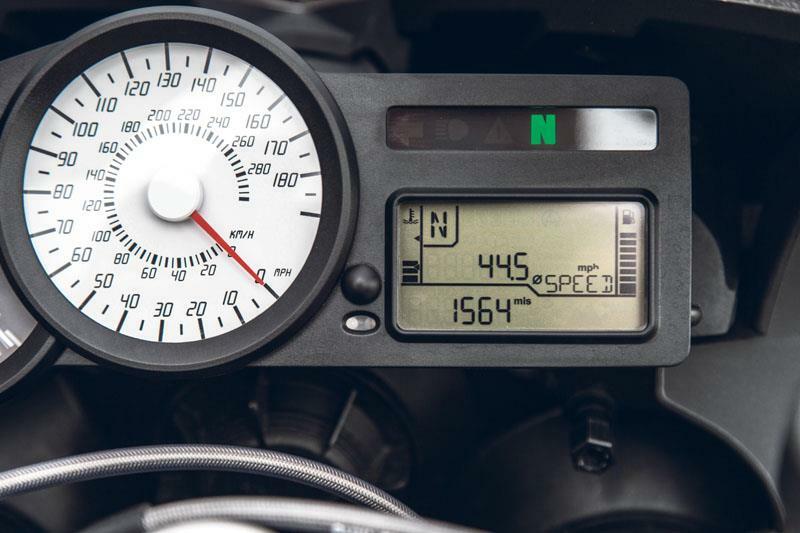 Although Ducati and Triumph, in particular, have their own successful lines of ‘specials’ (bikes like the Tricolore or Steve McQueen Bonnie spring to mind), while the UK importers of Suzuki, Kawasaki and Yamaha are increasingly producing ‘Touring’ or ‘Adventure’ Packs and suchlike for existing models, BMW’s ‘Triple Black’, ‘Rallye’ and the like pretty much out-allure them all. 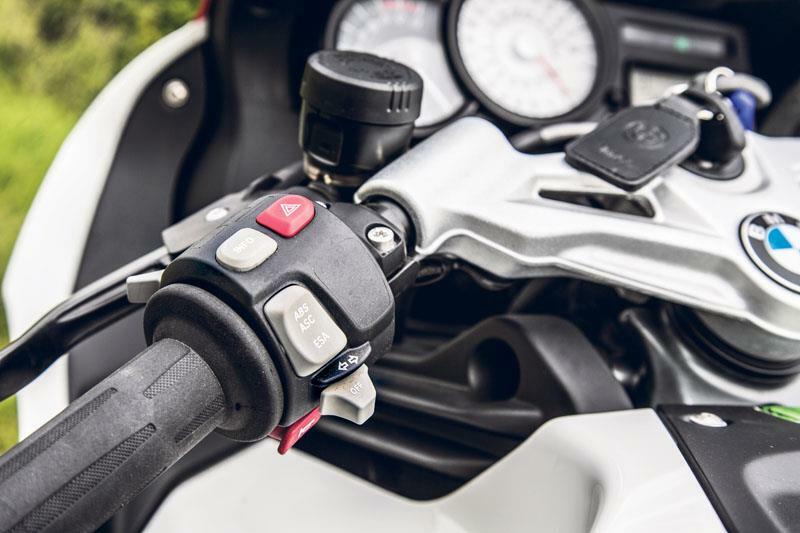 The latest is this K1300S ‘30th Anniversary’ which has been created to mark the three decades since the launch of the original K, the K100 – or ‘flying brick’, as it became known – in 1983. As such, I reckon that gives this special a better reason for being than most. While the Triple Blacks were an unprompted styling exercise, and the Rallyes built as some kind of homage to BM’s Dakar Rally winning bikes, the K’s 30th anniversary is truly significant: marking the brave birth of BMW’s all-new, liquid-cooled, longitudinal four, a radical departure from almost every aspect of previous BM offerings and conceived to eventually replace its traditional air-cooled boxer twins. It’s still questionable whether the K-series was a total success. Certainly it didn’t completely replace the boxers (indeed an all-new, oil-cooled boxer was introduced in 1993 which remained the bedrock of BM’s range until its succession by this year’s new liquid-cooled GS) while little of the original K-series concept survives. Its descendants are now all more conventional in being transversely arranged (like, for example, the bulk of Japan’s offerings); while the remaining K-range is significantly smaller, comprising just two four and two six cylinder models, the recent F-class parallel twins now supplying BMW’s middleweights. But, hey, let’s not be picky – the Ks are worth celebrating and, once again, BMW has created a special worthy of the name. The key to all of these specials are, of course, factory accessories and this is BMW’s trump card. When it comes to ladling on the factory options it helps if there’s an impressive range to choose from and, as always, BMW has them in spades. So, first off the ‘30th Anni’ gets with luxury, factory fit options such as ESA II (BMW’s clever and nifty Electronic Suspension Adjustment system); its ‘Safety Package’ of RDC (BMW’S tyre pressure monitoring system) and ASC (Automatic Stability Control or, to you and me, BM’s traction control system) plus BMW’s on board computer system. Then, it gets performance aiding goodies comprising an ‘HP Shift assistant’ (AKA quickshifter); HP adjustable rider and pillion footrests plus Akrapovic titanium sports silencer. The finishing touches, meanwhile, are a couple of cosmetic touches (unique white/black/red paintjob and a tinted screen) plus, finally, that most obvious of all BMW add-ons: its superb heated grip system. The base bike, meanwhile, is of course unchanged. 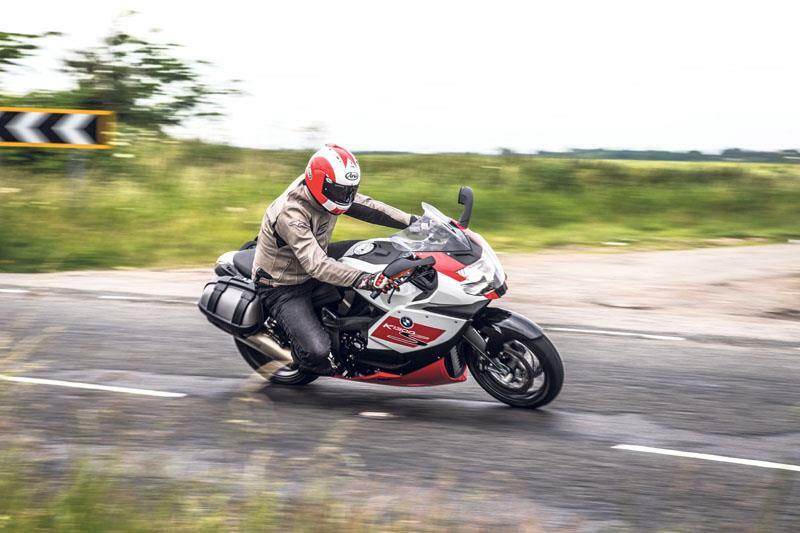 The now slightly aging, four-cylinder powerhouse of a sports-tourer first launched as a 1200 in 2005, was updated to a 1300 in 2009 and has been virtually untouched since. So, yes, if the cynic in you wonders if all this is merely an exercise in prolonging the K13’s appeal, I doubt you’re the only one. More magnanimously, however, nor is there any getting away from the fact that, cynical marketing ploy or not – it’s actually worked. There was never much wrong with the K13 for the type of role it’s intended to fulfill: grunty, slick, powermeister of a 175bhp lump; rock-stable handling (albeit at the slight cost of nimbleness) and classy BM build and comfort all add up to a motorway-muncher par excellence. So adding all those goodies was only ever going to heighten the experience – which they do. 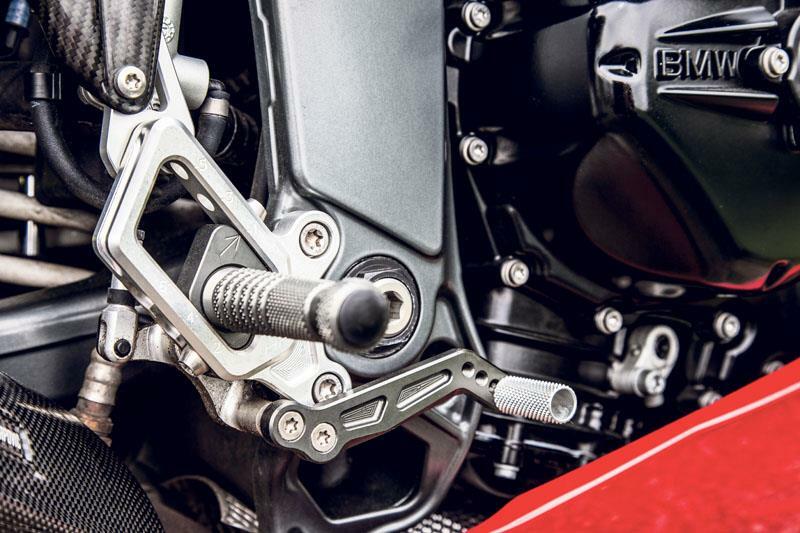 The HP footrests are sublime; the ESA and on-board computer a perfect fit for this kind of bike; the Akra can gives the big four’s exhaust note a rasp previously absent. Better still, beyond the practical worth of those goodies is the cache, the sense of class and quality they add. They always say that base-level BMWs, whether cars or bikes, can be pretty disappointing. That’s the skill of its marketing operation and why BMW extras sell so well. It’s virtually unheard of, for example, to come across, say, a used 1200GS WITHOUT ABS. But the flip side of that is how alluring and mouth-watering a fully-laden example can be. That’s exactly the case with the ‘30th anniversary’. But it’s also more than ‘just’ a K13S loaded up with goodies. This is a factory-fitted, limited edition model complete with one-off paint, and that brings with it an extra ‘something special’ – exclusivity. You won’t be seeing many ‘30th anniversary’s around your way anytime soon. But best of all is that fact that this treatment simply makes indisputable good sense in terms of value. 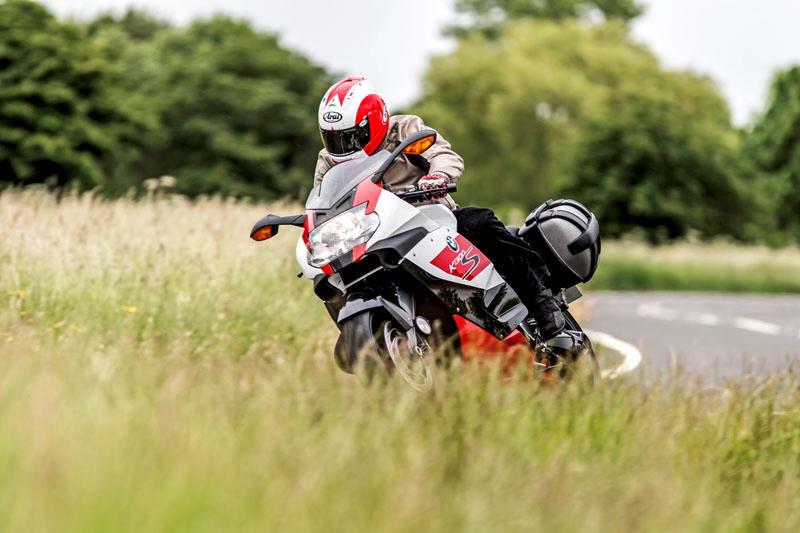 At £14,295 OTR the anniversary model is £2K more than the stocker. But if you were to buy the stock version and add all the goodies individually it’d all add up to £16,157.30 – ie almost £2K more still. And even then you wouldn’t have the special edition paint. 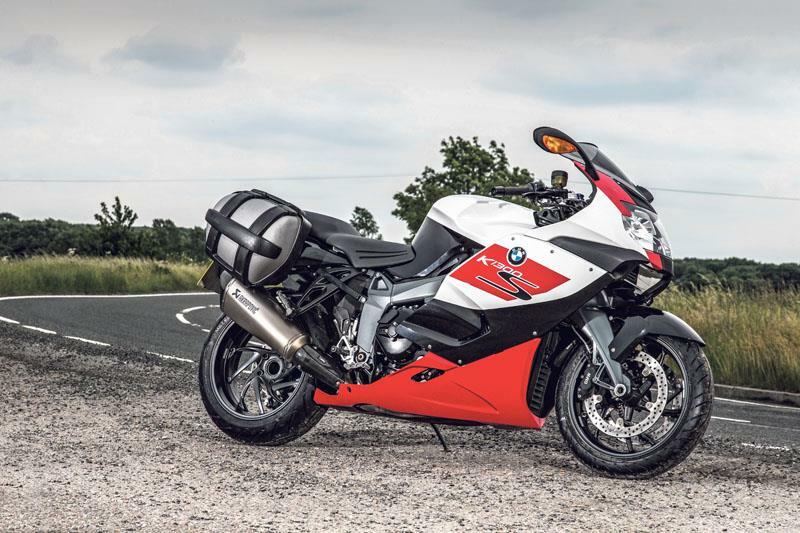 So, if you fancy a fully loaded K1300S this is the one to go for. It’s a no-brainer.